Its been a while since our last Flash Mob so save the date for our next event coming up in June. For this event we’d like to get some more people involved in the organising and coming up with ideas. 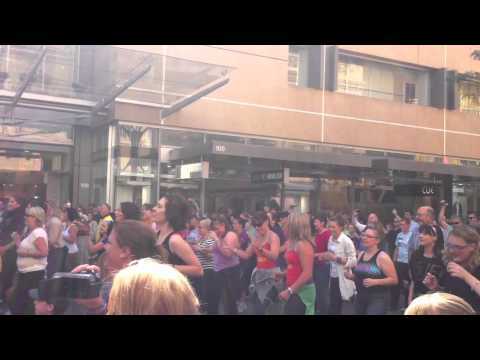 If you’re not familiar with our events have a read of the flashmobs we’ve done so far. What we usually do is 3-5 flashmobs for each event to make a day of it. If you have an idea that you’d like to try out, let us know on the facebook facebook group and in the comment on this post (don’t forget to add your email address in the field so we can contact you). We’ll pick a few for this and get those who came up with the ideas to help organise them, if they want to.